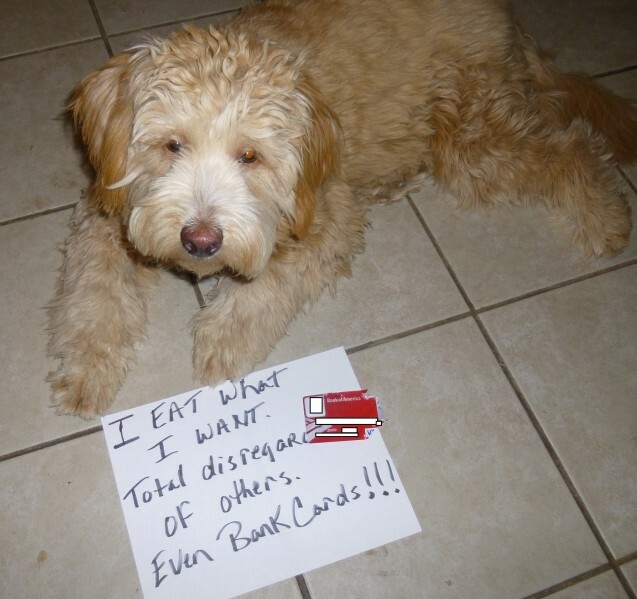 After frantically searching for my bank card all day, I found it in the back yard … in Honey’s mouth! Posted November 19th, 2013 . She was trying to figure out how to use it to buy you some early xmas gifts…..